Vlaar, T.; Orru, R.V.A. ; Maes, B.U.W. ; Ruijter, E. “Palladium-Catalyzed Synthesis of 2-Aminobenzoxazinones by Aerobic Oxidative Coupling of Anthranilic Acids and Isocyanides” J. Org. Chem. 2013, 78, 10469-10475. Vlaar, T.; Maes, B.U.W. ; Ruijter, E.; Orru, R.V.A. “Synthesis of 4-Aminoquinolines by Aerobic Oxidative Palladium-Catalyzed Double C-H Activation and Isocyanide Insertion” Chem. Heterocycl. Comp. 2013, 49, 902-908. Vlaar, T.; Mampuys, P.; Helliwell, M.; Maes, B.U.W. ; Orru, R.V.A. 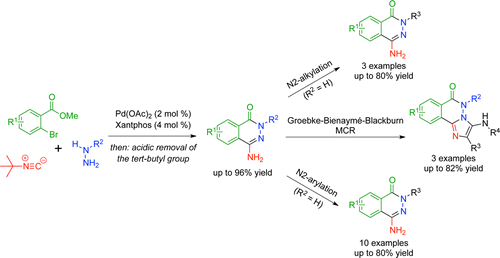 ; Ruijter, E. “Multicomponent Synthesis of 4-Aminophthalazin-1(2H)-ones by Palladium-Catalyzed Isocyanide Insertion” J. Org. Chem. 2013, 78, 6735-6745. Vlaar, T.; Ruijter, E.; Maes, B.U.W. ; Orru, R.V.A. 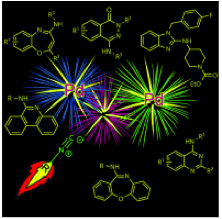 “Palladium-Catalyzed Migratory Insertion of Isocyanides: An Emerging New Platform in Cross-Coupling Chemistry” Angew. Chem. Int. Ed. 2013, 52, 7084-7097. Ruijter, E.; Orru, R.V.A. “Multicomponent Reactions – Opportunities for the Pharmaceutical Industry” Drug Discov. Today: Technol. 2013, 10, e15-e20. van der Born, D.; Herscheid, J.D.M. ; Orru, R.V.A. ; Vugts, D.J. “Efficient Synthesis of [F-18] Trifluoromethane and its Application in the Synthesis of PET Tracers” Chem. Comm. 2013, 49, 4018-4020.
van der Heijden, G.; Ruijter, E.; Orru, R.V.A. “Efficiency, Diversity and Complexity with Multicomponent Reactions” Synlett 2013, 24, 666-685.